The Bachelorette's Charlie Newling telling Instagram post with Dasha. 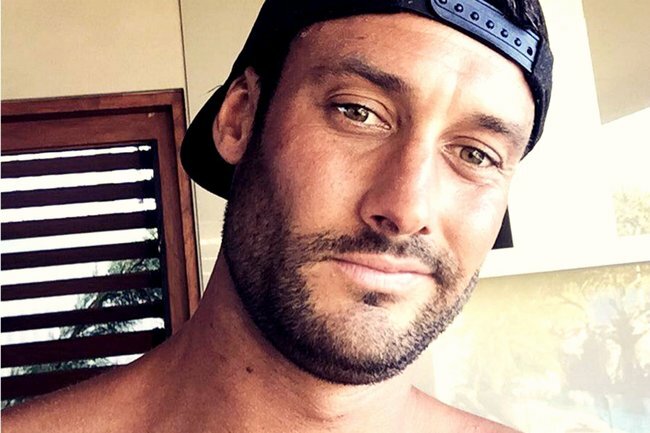 Charlie Newling's very telling Instagram post after Thursday night's Bachelorette episode. It was just about the worst kept secret in Australian reality TV and now Charlie Newling doesn’t even have to pretend to care, finally able to confirm his relationship with Dasha Gaivoronski. The booted Bachelorette hopeful shared two Instagram Story videos of he and Dasha after the episode aired where he and Ali Oetjen ended things on Thursday night. In them, he and the personal trainer, who appeared in Nick Cummins’ Bachelor season, are walking and joking about his “freedom”. “I’m free!” Charlie joins in. Charlie is, of course, referencing the arduous steps he took to ensure no one found out he and Dasha were dating and subsequently spoil the show. Except, whoops, they did. The pair were pictured eating dinner at a romantic restaurant. And then if that wasn&apos;t bad enough, fellow contestant Paddy Colliar confirmed it to Nova’s Fitzy & Wippa. Then, seemingly with an "oh-well-cat&apos;s-out-now" attitude, the pair flirted during a live Q&A session on Dasha&apos;s Instagram. Finally able to officially confirm it himself now, the 31-year-old Sydney builder told TV Week on Thursday night that he and Dasha are "seeing each other". "We&apos;ll call it that for now. We haven&apos;t really put a label on it. It was hard to label it while the show was still on and we were trying to keep things low-key," he told the magazine. Charlie, who made it to hometown visits before leaving when Ali couldn&apos;t give him "exclusivity", said he understood how some viewers may have been a tad annoyed that photos of him with Dasha gave away that he didn&apos;t win. He "cares". But also, he kind of doesn&apos;t.
"We were told that it&apos;s [dating others publicly] not really something you should do, but if we came across anyone really special they weren&apos;t gonna stop us," Charlie told the magazine. "It&apos;s hard to not spend time with that person and not live your life. "Unfortunately, we did get caught, but we weren&apos;t gonna lose the opportunity while it was there." You can catch up on The Bachelorette with Mamamia&apos;s recaps.